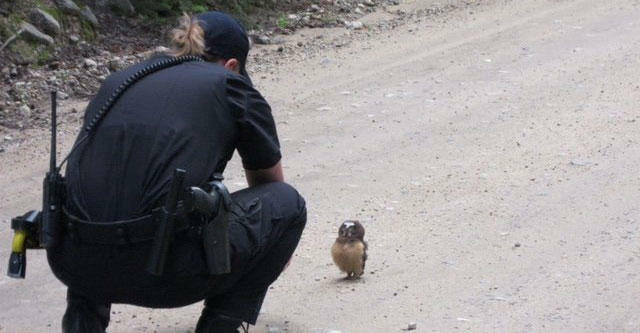 A routine patrol turned dangerously cute over the weekend after two police deputies encountered a baby owl defiantly blocking the road in Boulder County, Colorado. But what became of the baby owl after the camera stopped rolling? "After some curious head twisting (on both sides) it safely flew away," the department said in a statement.